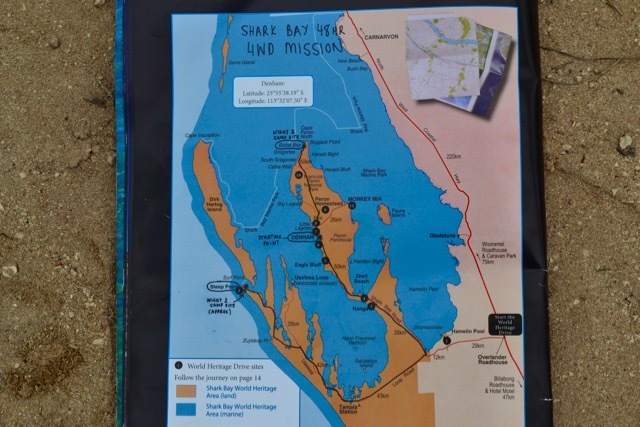 Shark Bay: how west can we get? 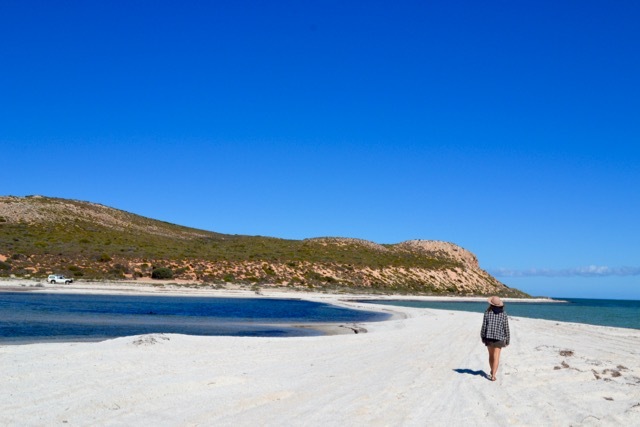 The drive between Kalbarri and the World Heritage listed Shark Bay featured kangaroos, a mob of emus, numerous herds of goats, two echidnas and a huge wedge-tailed eagle feasting on a carcass, so we thought we might be in for a good time. 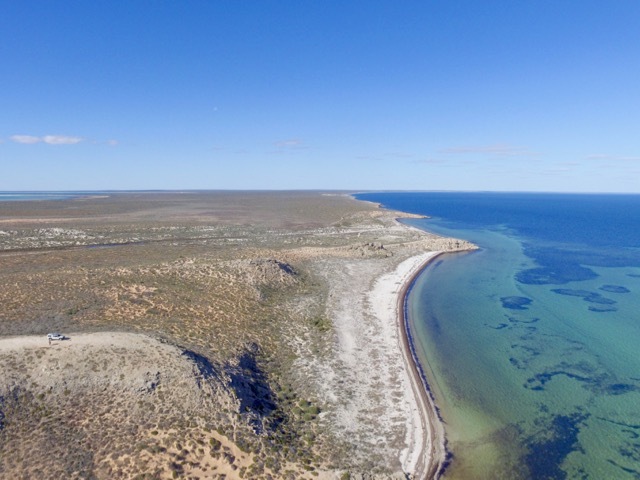 Arriving in the isolated town of Denham (pronounced “denim”) on Shark Bay’s Peron Peninsula we dithered for a while as dithering in Denham sounded like fun but also because we hadn’t figured out where we were going to stay. ‘The worst we have never seen! !’ (sic). ‘Park sort of ok toilets are alright and hope the showers are good bad thing is it is raining and windy and lots of puddles and the bad thing is that Vodafone signal don’t work’ (sic sic siiiiiiiic). With a special mention going to the person who says ‘Pool ok when not full of kids’. 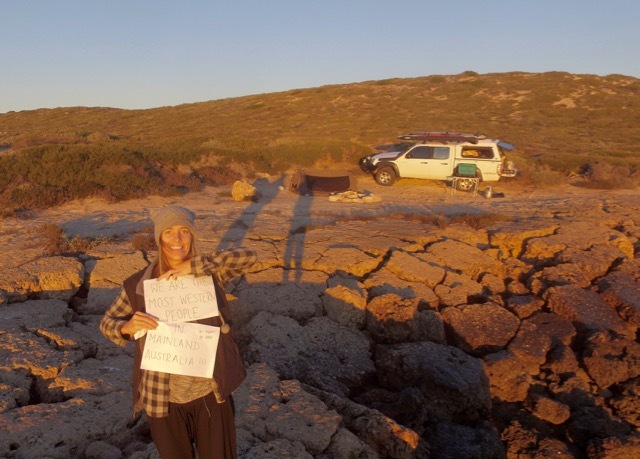 We really, really wish that there was a ‘follow user’ option on WikiCamps so that we could track some of these travellers as they their whinge their way around the country. However, we digress. 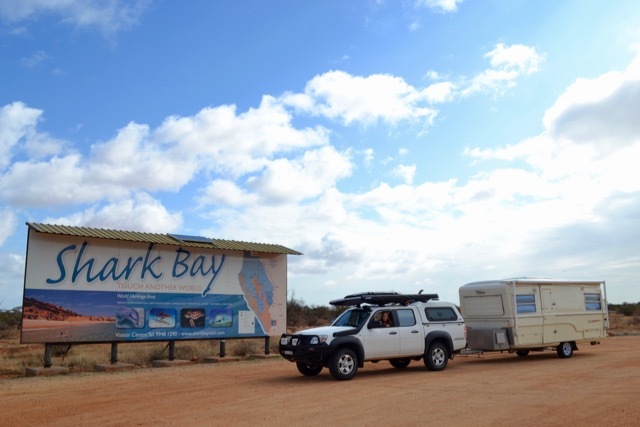 Shark Bay Caravan Park turned out to be a perfectly nice place with big plots and lovely hosts, although admittedly a bit of a dodgy hot water system. We particularly liked the privacy walls erected between the unpowered sites, which was a nice touch we haven’t seen anywhere else. It hadn’t rained recently, so our stay wasn’t marred by anything as horrendous as puddles. 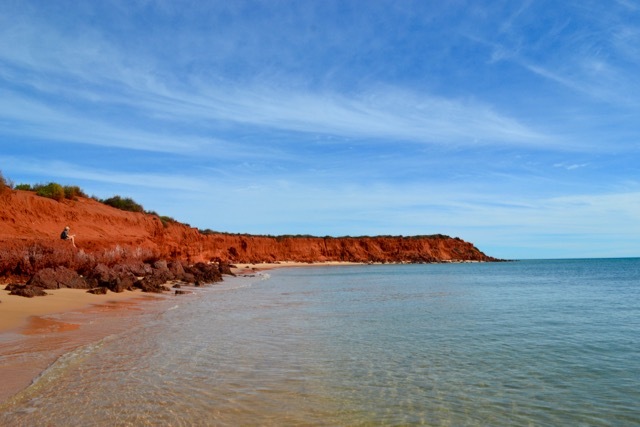 Using Denham as our base we checked out the southern part of the Peron Peninsula. We visited Eagle Bluff viewing platform at high tide where we hoped to see dugongs, sharks, turtles or any kind of marine life (we didn’t, but it was still worth the visit), Shell Beach (aptly named, as it is made up of trillions of tiny shells), an unnamed little lagoon (but not the Little Lagoon you will find in the tourist brochures), a random hill (it was the highest point Jono could see and he wanted to get to the top of it) and a bunch of other beaches, nooks and crannies. At high tide there’s a good chance you’ll spot marine life of all descriptions. We didn’t have any luck though. 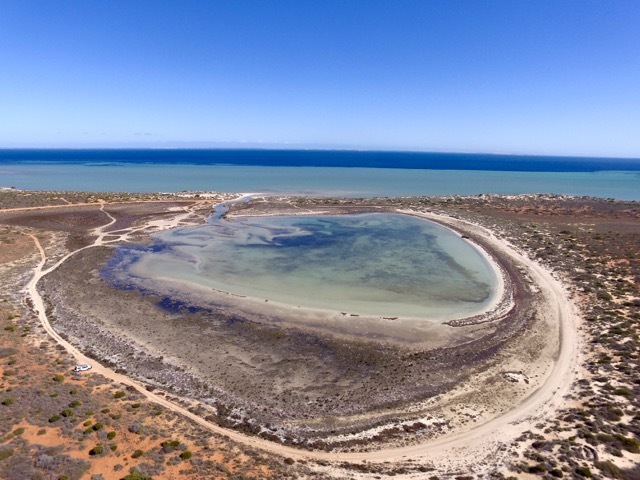 Drone-view over an unnamed lagoon. 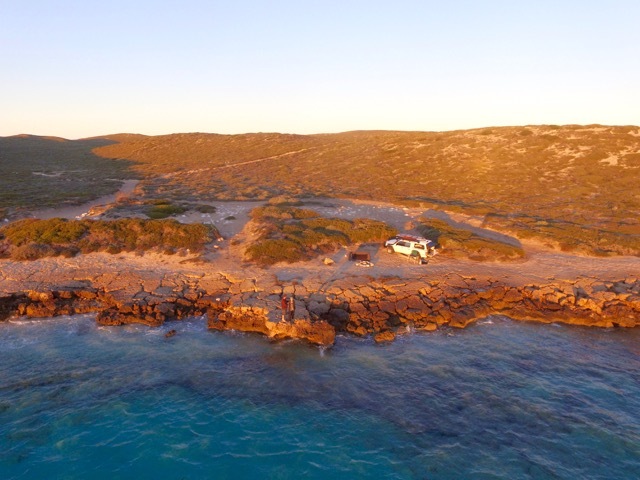 You can see our little ute on the left. It doesn’t look like it here, but this was the highest point we could find to park our car on top of. 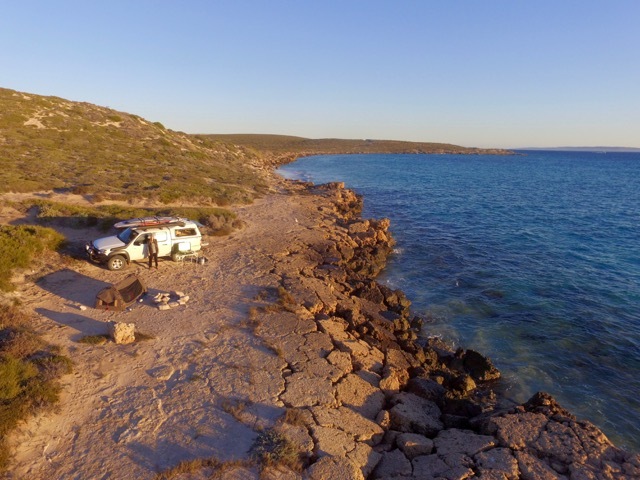 We also planned our Shark Bay 4WD assault, which was going to be action-packed. 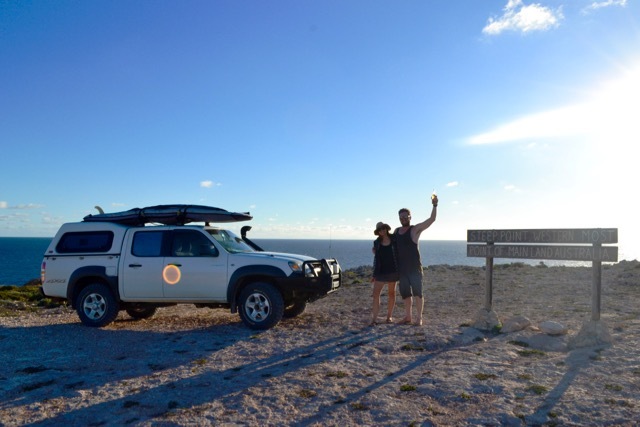 We wanted to visit Francois Peron National Park, on the northern tip of the Peron Peninsula; and also Steep Point, the most western point in mainland Australia, which was on a neighbouring peninsula. 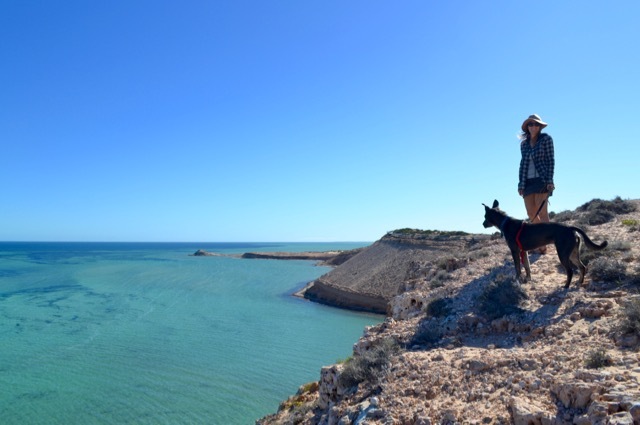 Since these two 4WD-access-only places were a 4.5 hour drive apart and neither allowed dogs, we toyed with visiting just one or the other. However, we ended up cramming both into a 48 hour mission and we’re really glad we did. They were two completely different experiences, each rewarding in its own way. The following morning we dropped Ned off for a stint with a local dog sitter, put a slightly grumpy Claude in storage – he wouldn’t be receiving food or walks while we were gone – and set off for Francois Peron National Park. 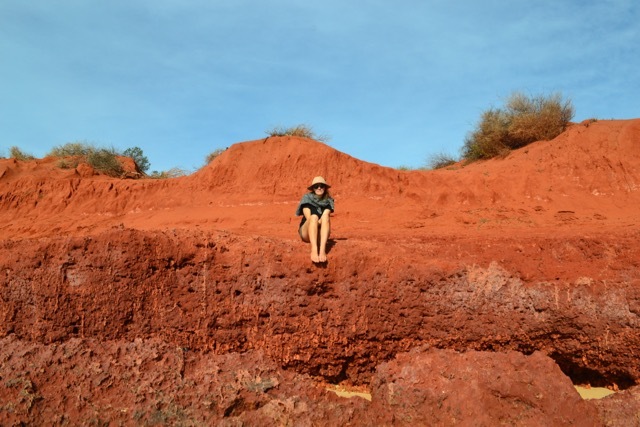 The drive in was our first taste of red sand (as opposed to red dirt: there’s a difference!) and we were rewarded at the end of it with some truly beautiful scenery. 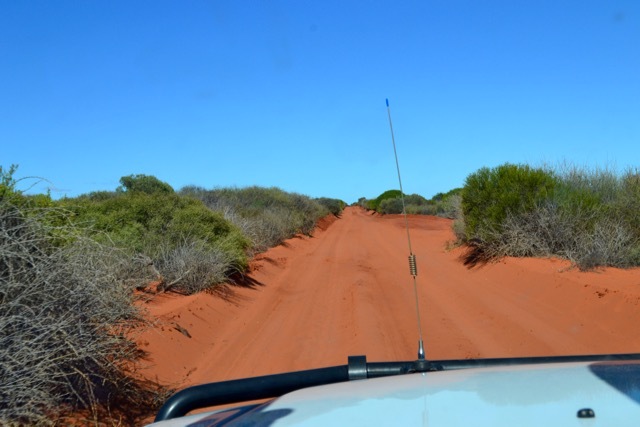 A trip highlight – Driving on red sand! 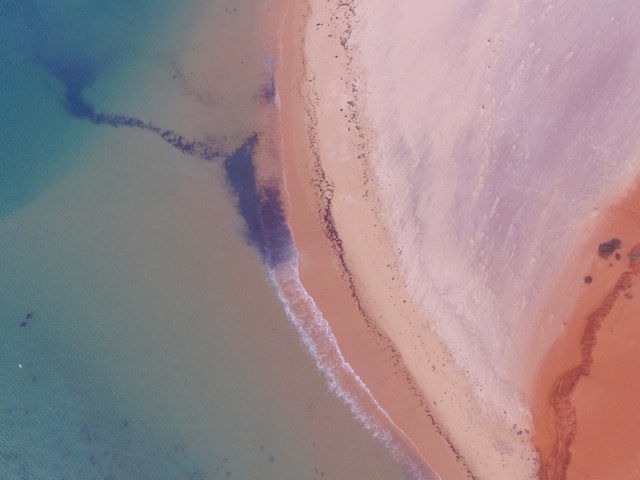 We spent the afternoon meandering along beautiful coastline, letting glittering specks of red sand run between our fingers, splish-splashing through crystal clear waters, drawing pictures in the red sand, spotting dolphins, staring transfixed at the way the red sand caught the afternoon sunlight, chasing a stingray … and did we mention we liked the red sand? 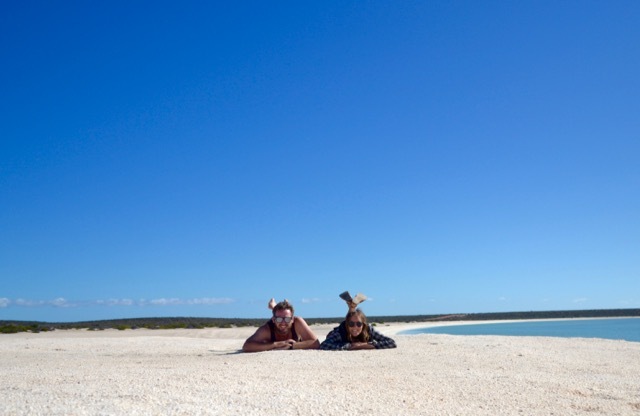 We also stumbled barefoot into a minefield of bindis-on-steroids, which we learned in Geraldton are named “Double Geez” because they hurt so much to step on that you can’t help but say “Geez” twice. So it wasn’t all bliss. Nearing nightfall we found a campsite with a track through to a small, sheltered cove and set our swag up just in time to watch the sun go down. 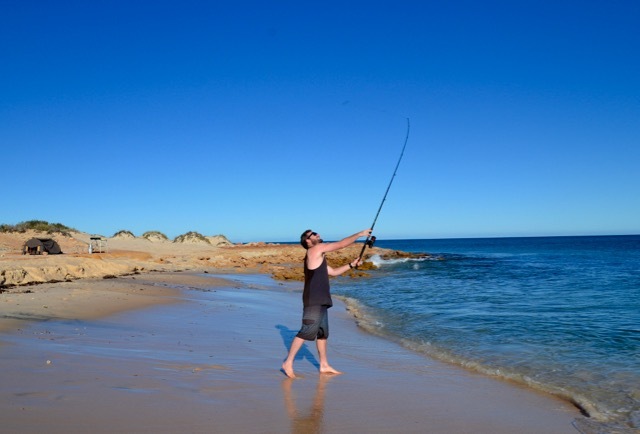 The next morning we cooked pancakes on the beach, went swimming, and tried our hand at fishing. Laura snagged her line within five seconds and broke it within twenty: a new record! Then it was time to set off for our next destination. 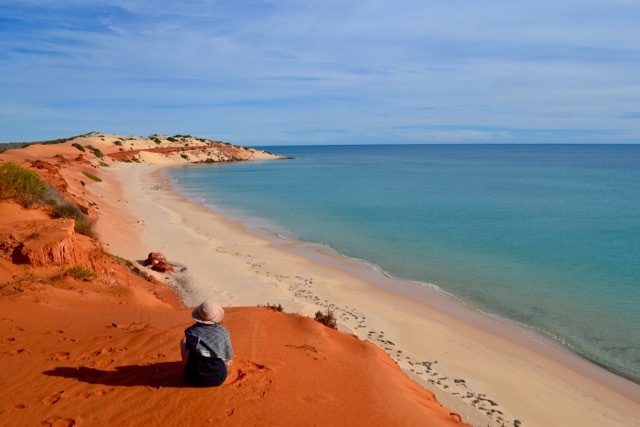 Aside from the fact that Steep Point – the western-most point in mainland Australia – is in Edel Land (a ‘proposed’ national park) and boasts epic fishing, we didn’t know much else about it before we went there. On the way in we learnt that visiting is not for the faint hearted. Although not technically difficult, the drive was BuMpY . 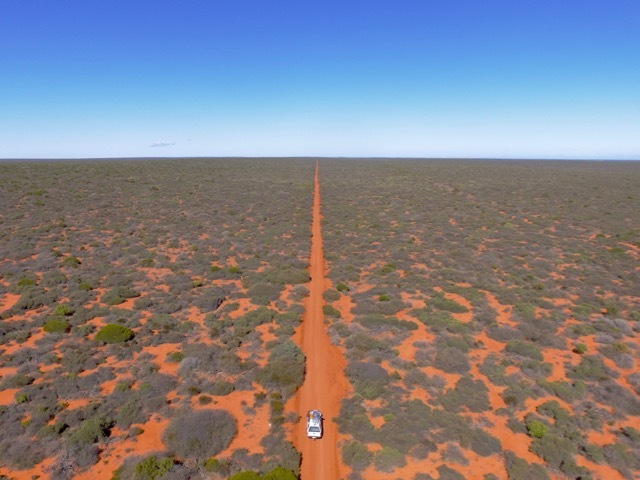 Of the 140 kilometre unsealed access track, approximately 40 kilometres was solid corrugation. 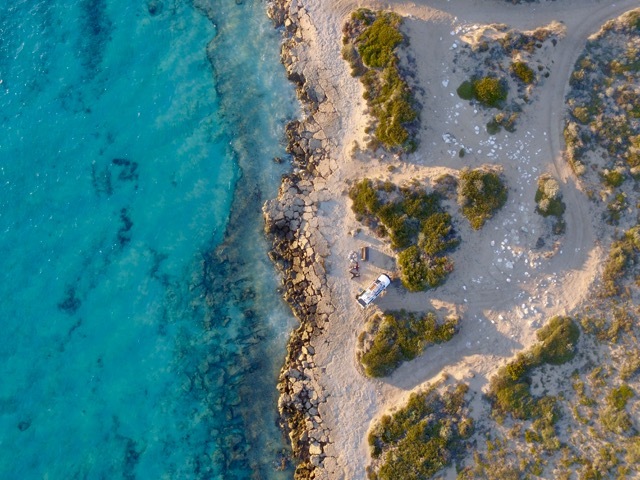 Our car reverberated, our heads rattled, our eyeballs quivered, our voice boxes vibrated, a screw on our roof racks worked its way loose and so did the lid of our milk. It was with relief that we reached the caretaker’s cottage. 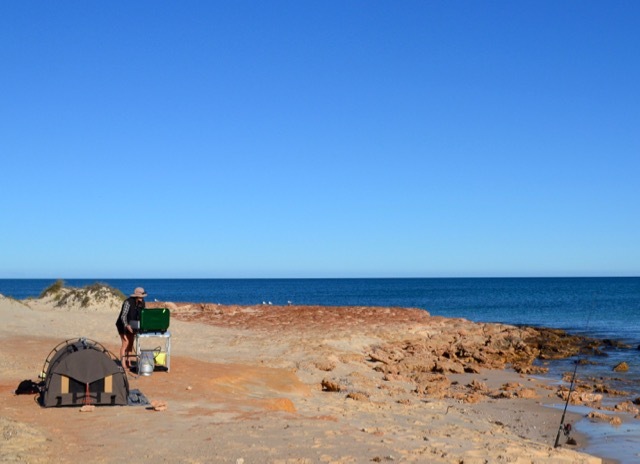 Pre-booking is essential at Steep Point, which has just thirteen campsites available to visitors. Our reservation wasn’t listed (we’re glitches!) so we were thankful they let us stay anyway. 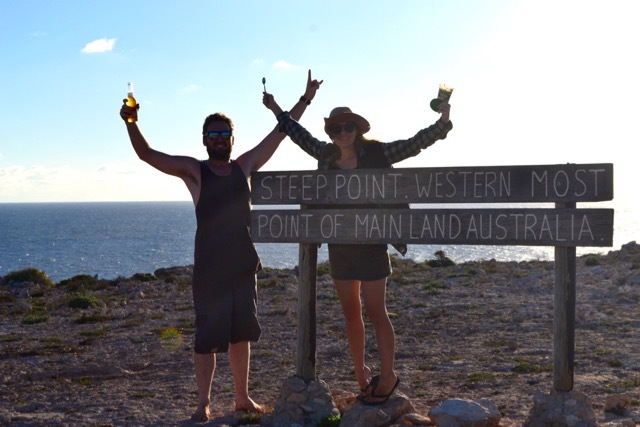 Before setting up camp for the night we made our way to the ‘Western Most Point in Mainland Australia’ sign, where we each celebrated in our own way: Jono downed a cold beer, and Laura – in true party animal style – ate peanut butter from the jar. Standing on the western-most cliff in the gusting wind we marvelled at how rugged Edel Land felt in comparison to the idyllic Peron. 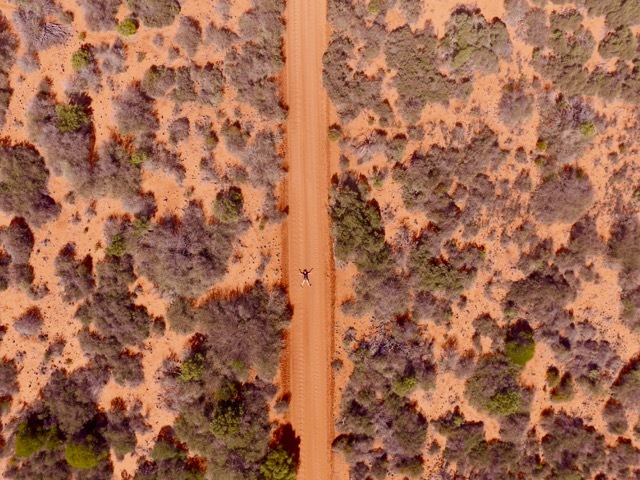 Despite the relatively short distance between the two (only kilometres as the crow flies), they seemed worlds apart. 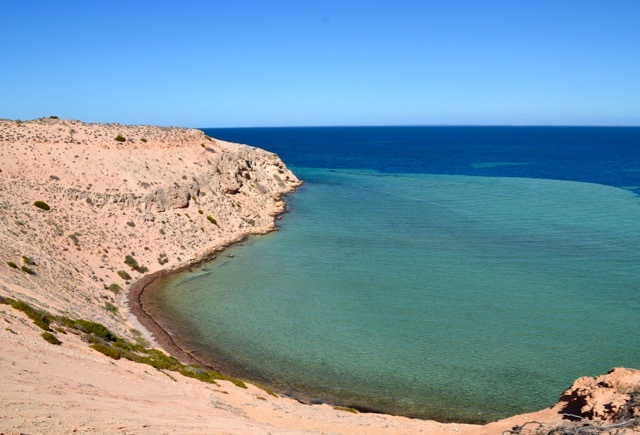 We also couldn’t help but gazing longingly across the channel at Dirk Hartog Island. 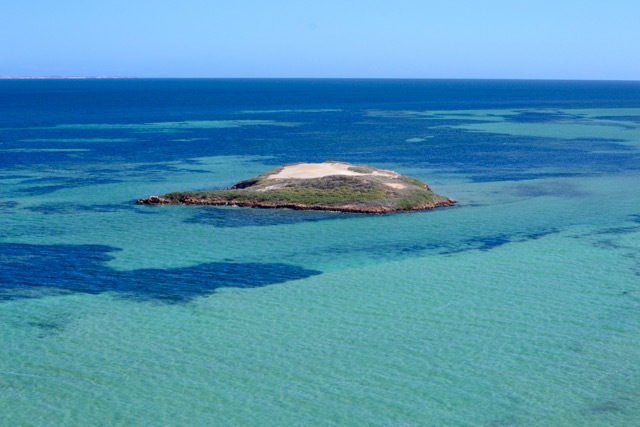 Accessible only by ferry or boat (note to selves: get boat), we’ve marked it as a must-do for our next trip. Then it was time to get settled for the night, and it quickly became evident that the mix-up with our reservation had been a blessing. 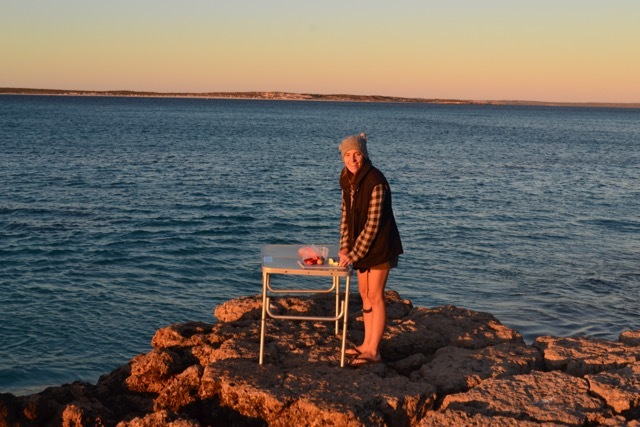 Following instructions to set up our swag past the last formally marked campsite meant that we spent the night of 16 June 2016 being the Most Western People in Mainland Australia. It was a real trip highlight and felt like a huge accomplishment, one which we patted ourselves on the backs for. A lot. Said back-patting occurred while we prepared dinner, while we ate dinner, while we set up the swag, before we went to sleep, when we woke up, during breakfast … We even made a sign. 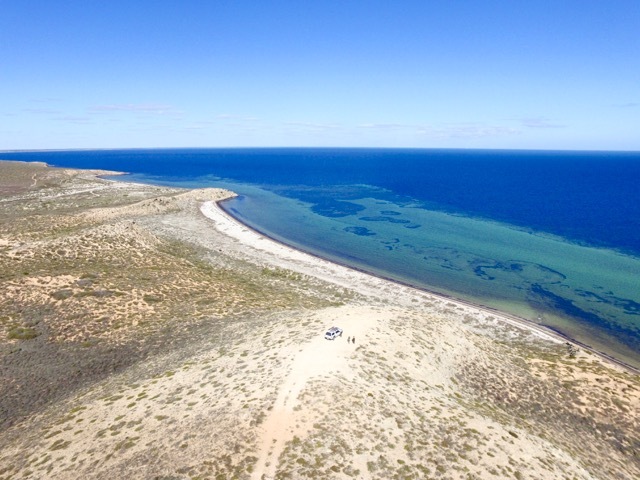 We were reluctant to leave Steep Point and merge back into non-western-most insignificance. 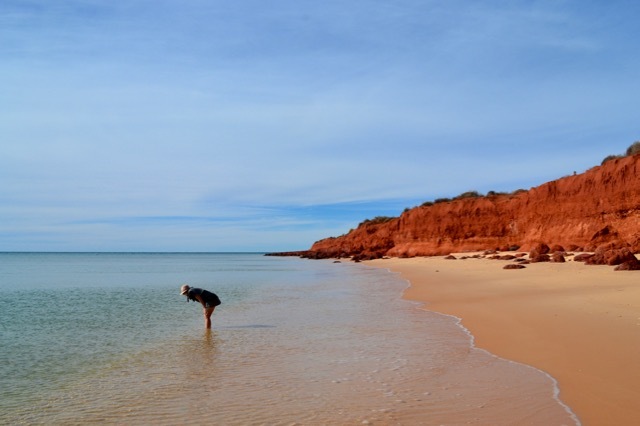 However, Ned and Claude were waiting for us, and so was the rest of the West Australia coast. 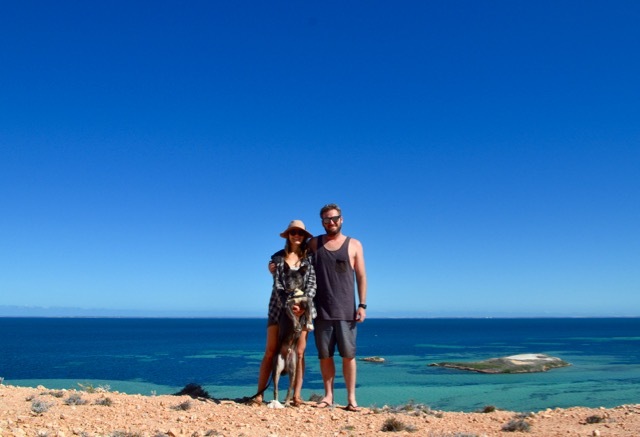 We made our way back over the corrugation (which didn’t seem as shuddery and juddery the second time around), collected our two amigos and stayed one final night in Shark Bay. Stopping in at the Denham IGA / petrol station before we left the next morning we witnessed some poor bloke go into to pay for his fuel, only to be informed by the cashier that he’d filled his diesel tank with premium unleaded petrol. His was not a happy face. We hate those sneaky combo bowsers! 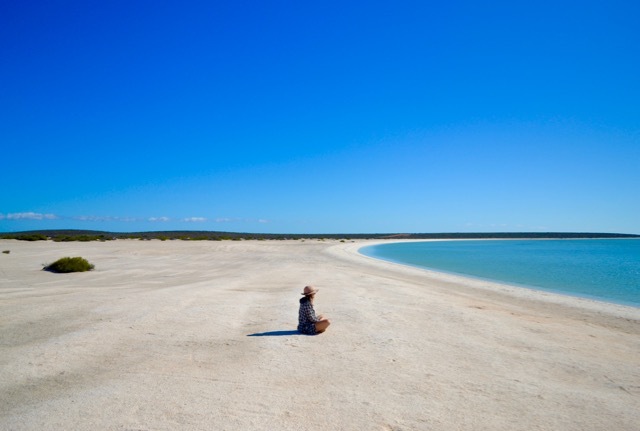 Carnarvon would be our next stop. Why does she have four arms? 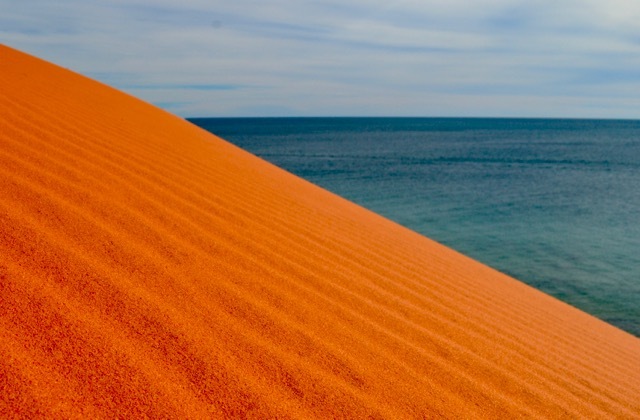 Francois Peron National Park is about an hour and a half north of Denham and we highly, highly recommend it for a quick overnighter, or longer, if you have time. Entry and camping fee info can be found here. 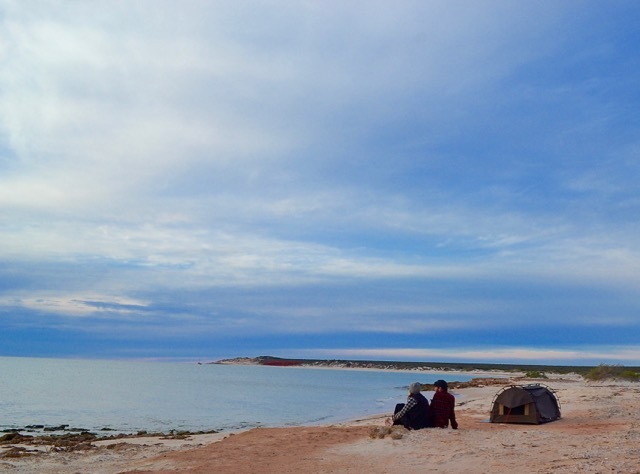 Camping does not have to be booked or paid for in advance (you pay on the way in, so make sure you take cash). 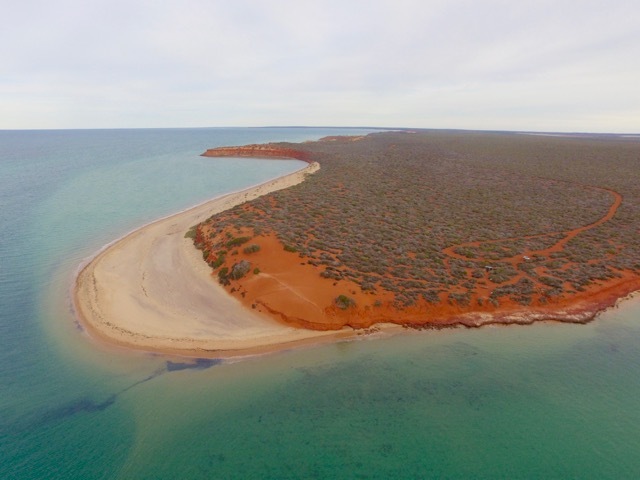 It’s about a 3 hour drive from Denham to Steep Point in Edel Land (4WD-access only). Overnight stays should be booked in advance to avoid disappointment, particularly if you’re planning to visit in peak season. We didn’t book in advance (unless ‘calling the day before’ counts), but lucked out because a group had cancelled. However, on the whole, we do not recommend this approach. Entry / camping info can be found here. Dog sitting: We teed up two nights of Neddy-sitting with a lovely local retiree named Kevin, whose number we got from the Tourist Info Centre. He charged $35 per 24 hour block, which included a walk and food and it was comforting to leave Ned at someone’s home rather than in a boarding kennel. Ned certainly seemed in good spirits when we picked him up, so we don’t hesitate to recommend Kevin (who can be contacted on 0402464204). 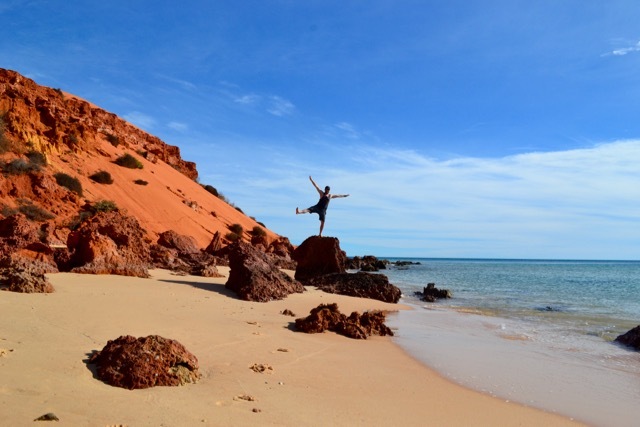 This entry was posted in Travel Journal and tagged Western Australia. Bookmark the permalink. Fantastic pics I can’t wait to do the same trip. Thanks Ian. You won’t regret visiting!